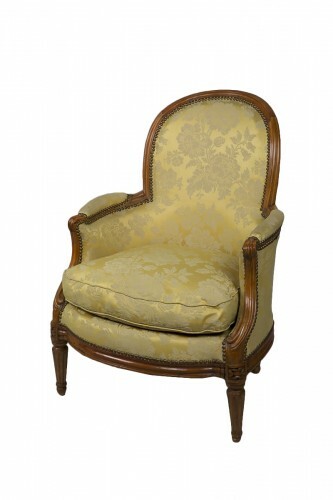 The transitional bergère retains the serpentine forms of the Louis XV bergère. However, the ornamentation inspired by Greek art and straight legs that are round in section, or of the fluted or spindle type foreshadowed the transition towards the Louis XVI style. 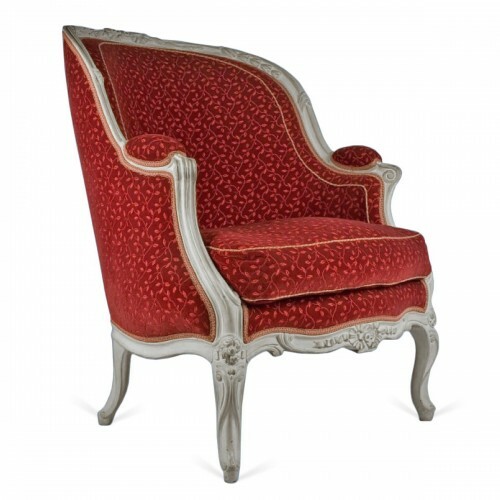 With more restrained lines and seating comfort, the transitional bergère is more like a flat-backed fauteuil. Its backrest abandoned the enveloping forms of the previous style, becoming straighter and less comfortable. On the flat-backed bergère and the bergère en cabriolet (with a concave back) the arms have a different shape and curve downwards. 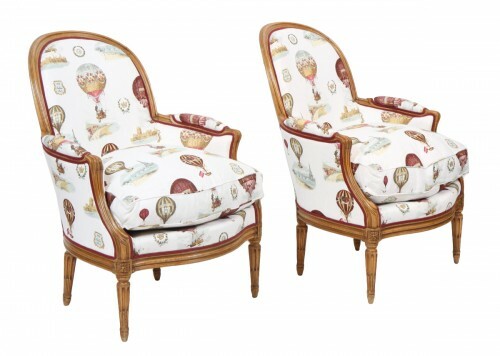 On certain models of transitional bergère, the arm supports rest on linking dies—adorned with rosettes on two sides—at the top of the legs.